Folk music should speak of the times it’s written in while hearkening back to the past, reckon The Bottlers. It’s something of yourself that others can dance to. It’s a conversation. It’s a lot of other things, too, but maybe most importantly – and by definition – it’s people. All kinds. “We’ve played to punk crowds, metal crowds, folk festival crowds – which can be an older generation of people,” explains Matthew Black, the band’s founder and vocalist. The band’s broad influences, authentic western Sydney twang and infectious larrikinism mean they’re equally at home at a scuzzy punk show or a rustic country pub. 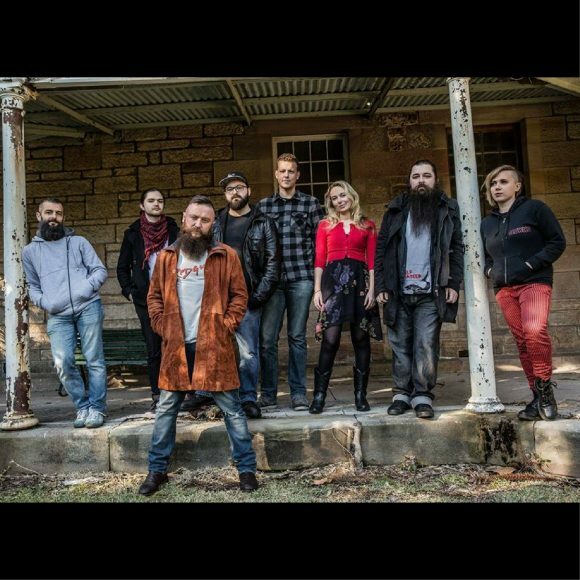 You might or might not detect influences like the Dropkick Murphys, Redgum or Billy Bragg, but buggered if you don’t get drawn in by the yarns, the energy and the playful mix of personalities all crammed up there on stage. The Bottlers got going in earnest about three years ago when Ned McPhie and Black teamed up. The two started trying to cobble into songs what Black had committed to a collection of notebooks. “You write about what you know and if a bit of western suburbs confliction gets the ink scraping across the paper, then that helps the job along,” says Black of what started to come together, and became the track “Blacktown” on the band’s demo release. And collect they certainly did. 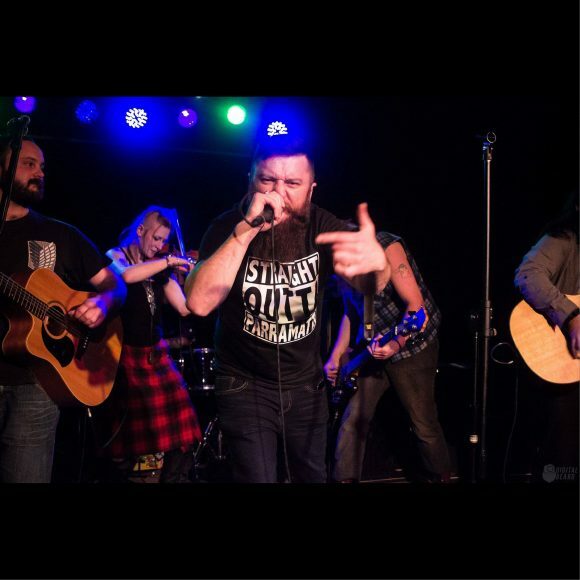 The folk-punk outfit is now eight members strong, with vocals, fiddle, drums, guitars, tin whistle, bass, accordion, mandolin, and banjo in the mix. Shows have even been known to feature a lagerphone. Speaking of beer, the band will be releasing their own brew, Hades Ale, to coincide with the launch. “With folk music, a few libations definitely can help the musical conversation,” offers Black. 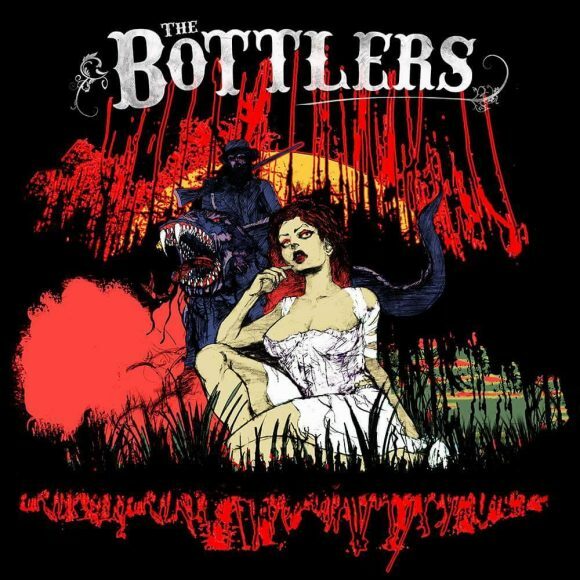 While definitely a pub-friendly band, The Bottlers aren’t just about drinking ditties at the expense of everything else. The musical tales told take in everything from everyday life in the suburbs nowadays to protest songs to womanising in colonial-era Australia. Again, folk music should reflect the times it’s written in as well as look back to the past. It’s people. It’s for singing along to. It’s all-acoustic and comes with a respect for tradition, but it’s not deliberately stuck in the past. And you can keep up with the band moment-by-moment by chucking them a like on Facebook or a follow on Instagram. The Bottlers will be bringing their folk to the folk at the Turning Wave Festival of Irish & Australian Music at Yass, from September 15 – 17. They’ll also be touring their new debut EP at the dates below. See you there! All Rights Reserved. © The Bottlers 2017 | Support Local Music.